Before I ever fell in love with Bryce, there was Hayden. Hayden was my first love, the kind of love that takes your breath away and you remember forever. My love story with Bryce came later. Much later, after everything had happened. Avery Hill and Hayden Stuart are high school sweethearts and each other's first true love. When Hayden is accepted to college in Los Angeles, Avery intends to follow him so they can build a life together. After a tragic chain of events ruins their plans forever, Avery is left to pick up the pieces. Will she survive all that was lost? And will she forgive the man who destroyed her and Hayden's dreams forever? Just Us is the first book in the Just series, and is not left with a cliffhanger. (For all of those haters out there.) The writing flowed so well, that I was pulled into the story immediately. I read it from start to finish without putting it down. Avery and Hayden work together at the local grocery store, and attend school together. Although they start out as great friends, they morph into something more. They find themselves making plans for the future, and soon Hayden accepted into college in Los Angeles, under the premise that Avery will follow. They want to finish school and start a family, only plans get ruined and Avery is now trying to figure out how to put the pieces back together and move on with her life. There was so much greatness in this book. It was sweet and angsty, and had me tearing up a few times. I can’t wait to read more from Riley J. Ford. Before I ever fell in love with Bryce, there was Hayden. Hayden was my first love, the kind of love that takes your breath away and you remember forever. My love story with Bryce came later. Much later, after everything had happened. Bryce Humphrey has never forgiven himself for his actions five years ago. Nor can he forget the two lives he ruined, or the girl he secretly loved. When he runs into Avery, the person who has haunted his dreams since that fateful night, his life is sent into a tailspin. As he gets to know her again after all these years, he realizes she has never gotten over the past. Will their shared pain bring them closer? And will they forge a new beginning built on healing, forgiveness, and love? 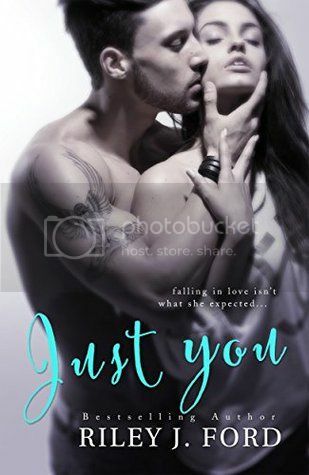 Just You is the second book in the Just series by Riley J. Ford. Although it is second in the series, it can definitely be read as a standalone. Just like with the first book in the series the writing pulls you in at once. This is the kind of book that I absolutely love. It is so emotional, and I thrive off of angst. adamant though to help her. As they struggle to move past the past, a connection emerges between them and they have to figure out if they can move on from the past, to have a future. Riley J. Ford, you have done it again! I loved this book. I thrive off of angst, and there was enough to keep me going. I loved Avery and Bryce. 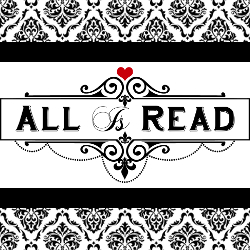 Riley J. Ford is a New York Times and USA Today bestselling author. She graduated UCLA graduate with a degree in English and taught at both the high school and college levels for a number of years before turning to writing full-time. Her non-fiction books are used in college classrooms around the country, and her essays have been featured on such websites as MSNBC.com. She is the author of seven fiction books, INTO YOU, a new adult mystery, CARPE DiEMILY, a romantic comedy caper, FIFTY SHADES OF FIFTY SHADES OF GREY, a satire, CIRCUS OF LOST SOULS, a thriller, SIMONE: ADVENTURES IN DATING, a romantic comedy series, JUST US, a contemporary romance, and JUST YOU, a new adult romance. When on vacation, she enjoys running with the bulls in Pamplona and downhill skiing.